I am rooting for Fultz. I hope he comes back strong in Orlando. Same. I'd be really happy if he just tears it up down there. Me too. There's no reason the Magic don't put the ball into his hands a let him be a 25-30% usage guy. Fournier, Augustine, and Grant can take a back seat. If Fultz goes to Orlando and is able to be a 25-30% usage guy this season then the Sixers would have made a big mistake trading him. of course they did. There was no reason at all for them to trade Fultz. I agree with Moranis that Philly needed to wait out Fultz' next year to see if he could turn things around. That said, Fultz has shown he is not happy in Philly and has no faith in their medical and training staff. He has caused tension in the locker room and my guess is the coaching staff has given up on him. These are the reason he is in Orlando right now. Also, if the IT situation has taught us anything it's that teams know a lot more about behind the scenes health and other issues than we do, so perhaps there is even more behind the scenes about Fultz that we know nothing about that could be an issue Philly doesn't want to deal with anymore. Philadelphia 76ers’ star Joel Embiid will miss some time with knee soreness. According to head coach Brett Brown, the two-time All-Star, who played in Sunday’s contest had an MRI yesterday, courtesy of Keith Pompey of the Philadelphia Inquirer. Apparently there was no structural damage but it may be some “tendinitis” which coach Brown said is fairly common. Embiid raised eyebrows when he lept into the stands in a game against the New York Knicks last week. He then participated in the All-Star game. It’s unclear if there was a moment an injury was sustained although it did not appear that way while watching his recent play. This definitely can be of note in our race for seeding with them. Will be interesting to see how they play without him. Who gets his minutes? Boban and Bolden?? If he's out for just a week then it shouldn't be too bad for them as they do have a few easier games coming up (Heat, tough game against Portland, then Pelicans). With that said, yeah they better hope it's not a longer injury because after that, their schedule gets tougher. Unlike the Raptors and Celtics, the Sixers really aren't a team built to win many games w/o Embiid who they run their team through. As talented as they are they don't have the kind of depth to withstand not having Embiid against good teams and Simmons is still a big liability on offense. Interesting stat from the Miami game. Boban became the 2nd fastest active player to 1000 points by doing so in 1574 minutes. He's second to Embiid who did it in 1271 minutes. Really strange to have Boban in 2nd ahead of players like Lebron and KD. Philly getting shellacked at home against Portland. With Embiid out, they started Boban at center and backed him up with Amir Johnson. That makes me feel a little better about how much we depend on Al Horford. As much as our bigs drop off after Al, we have much better reserves than Philly. That's one of the issues with PHI and why I still like our chances against them in a playoff series. If even 1 or 2 of their starters struggle (or are out injured), that team has trouble beating other good teams because their bench depth isn't that great to begin with. 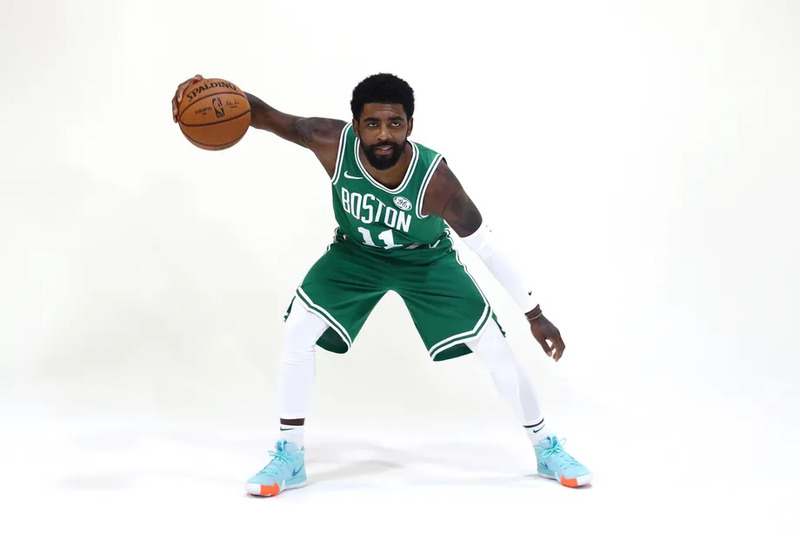 Regardless where you are on the Kyrie "sign or let go" drama, it's a testament to our team that even without him (and/or Horford + Tatum) we're capable of winning games. Same with the Raptors w/o Kawhi so far this season. Now obviously if they're healthy and all their starters are clicking, they can beat anyone (except maybe Golden State), but we just haven't really seen it from them yet (and they have trouble closing out games still).